'His Fairy Godfather' gives the tale of Cinderella an entirely new look. It's every bit as cute as the Disney version and a whole lot sexier. Patrick 'Trick' Grigsby is our Cinderella and while he doesn't have an evil stepmother and sisters. He does have a nasty piece of work boss with two total idiots for sons. Patrick or 'Trick' as he prefers to be called is literally slaving away at the architecture firm that his father started with his best friend years ago. It's an accidental meeting between Patrick and 'fairy godfather in training' Edwin that brings these two together. Edwin quickly realizes that Patrick is worthy of help and needs to be his charge. Despite the obstacles and there are some. Patrick and Edwin share a growing attraction that neither of them is full able to deny and while the burn was slow these two definitely have a steady blaze going in the latter half of the story. So while this story gets off to a slow start it still has some adorably sweet moments that kept me interested and entertained and the last half of the book was definitely worth the wait. Edwin and Patrick made a really cute couple and it was the development of their relationship and seeing them go from an accidental meeting to cautious acquaintances to friends with a growing attraction that made the slower pace at the beginning of the book worthwhile. Edwin's sweet and curious nature is a balm for Patrick's soul after spending his workdays with the Redden clan and their nasty abusive ways and it's Edwin's naturally sweet and kind disposition that slowly breaks down the protective walls Patrick has erected to protect himself from the harshness that surrounds him allowing his innate goodness to resurface from deep inside of himself where he's kept it hidden. While 'His Fairy Godfather' may have reminded me in general ways of the story of Cinderella there were a considerable number of differences that helped it to have its own unique and fresh spin on a classic fairytale. 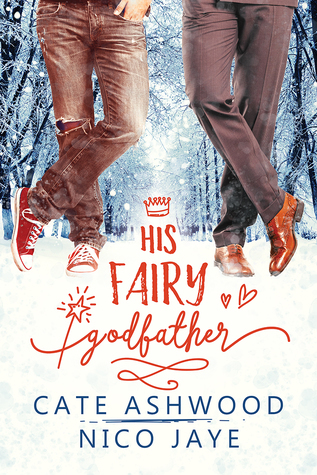 'His Fairy Godfather' is the perfect story to read if you're looking for something cute and sweet with an uncomplicated plot that's going to entertain you and leave you smiling. 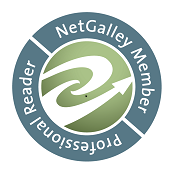 An ARC of 'His Fairy Godfather' was graciously provided by the publisher in exchange for an honest review.